Plenty of information can be found on the internet referring to the high prices offered by private jet providers around the world. Some of it true, but even a last-minute economy class ticket can be expensive. The truth is that in today’s shared economy, private aviation is as accessible as it has ever been before thanks to its infinite flexibility, which grants clients with a handful of traits that can’t be delivered by commercial first class. 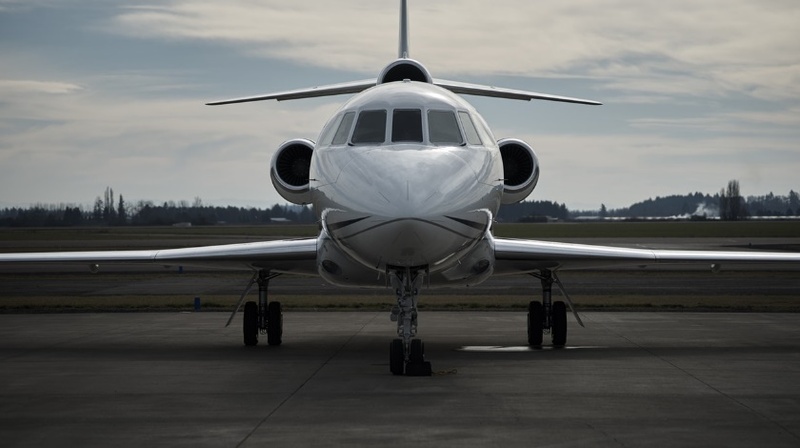 For starters, when chartering a private jet, you don’t need to arrive three hours prior to your flight at a crowded airport and wait in long lines for your check-in. You can arrive 15 minutes before take-off at the designated private terminal, pass through a swift security check, and walk straight to the waiting aircraft parked just meters away. Oh, and your luggage stays with the passengers at all times and you can even travel with your pet in the same cabin. What about the price? Well, it depends. As aforementioned, private aviation has benefited largely from today’s shared economy. Membership cards, fractional ownership and various apps deliver an experience that can’t be met by first class. On first class you just buy the ticket, with private aviation you can either rent the whole aircraft, buy a seat or buy annual flight hours. The sky’s the limit, and if you have a better idea in order to pay for your private flights, have no doubt that the provider will adapt. Even cryptocurrencies are being used as a payment method in this segment. Regarding the price, today what you pay for an 8-passenger mid-size jet, when divided by the same number on a standard three-hour flight, you will have the same or even lower fair per passenger than a first-class ticket. But with a tailored menu, with the possibility to depart and land at the closest terminal to your destination thus saving time and money in ground transportation, and without the hassle of a massively concurred terminal. The utmost flexibility. Private jet providers are wasting no time in providing clients with the tools to get the best possible price wherever and whenever. Digital apps play a key role in this trait, whereas booking a flight from your smartphone and paying with one button is an industry standard in all five continents. This is how Nigerian based Jetseta has built its business; offering private air and helicopter services through a mobile app, connecting users at attractive prices worldwide. “Our intention wasn’t to reinvent the wheel. We use the technology in hand to deliver a superior service with the Jetseta touch, where service and safety are paramount”, states Harold Okwa, Executive Director for the Nigerian firm. That touch or effort is the key ingredient that’s making private aviation rapidly separate from first class, specifically for travellers that don’t have price as the main concern. Flexibility, privacy and customization are far too many traits for the same fee, especially for those who live by the time value of money (TVM) standard, where making money today is far better than tomorrow.